Anglet Applewhite installs a washbasin in the House of Style, a commercial building at 645 Jefferson Ave. SE. His plumbing tools, including wrenches and a level among other equipment are laid out on the floor next to his tool box. Applewhite passed the state examinations and met all the requirements of his trade to receive his master plumber license. 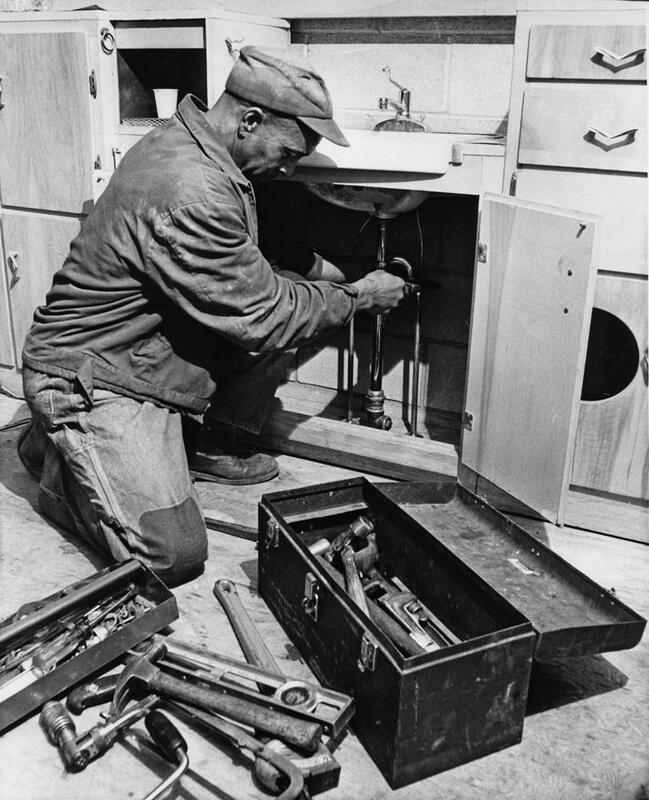 According to city records he was the first African American to hold the Master Plumber rating in Grand Rapids. Applewhite had been working at his trade with the Holwerda & Huizinga Plumbing and Heating Co. since 1946. With the rating of Master Plumber he was then able to establish his own firm, A. Applewhite Plumbing & Heating, 49 Buckley St. SW.